After Friday and Saturday saw positive movement in Bitcoin’s price, some were hoping that we would continue to see upward momentum. 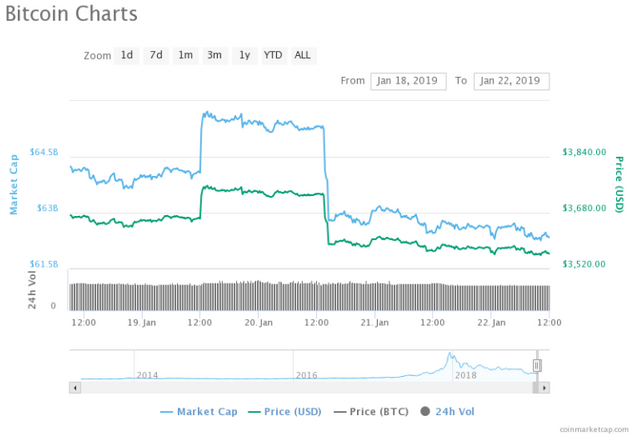 Sunday, however, was characterized by an almost 6% decline in the price of Bitcoin in less than an hour. Senior analyst at eToro Mati Greenspan decided to create a Twitter poll and ask the community if they thought the sudden price drop was the result of bots, whales, manipulation, or something else. According to the results, nearly 50% of the 867 votes felt that some form of manipulation was the leading cause of the dip. Even though it wasn’t a scientific poll and Greenspan states that the results may not be indicative of what actually happened, it's interesting to see how the community perceives the dynamics in the crypto industry. Bitcoin is currently down 0.41%, trading at $3,565.23 at the time of writing. Do you agree that manipulation had something to do with the price drop?